A fine old mountain apple of unknown origin grown in the Southern Appalachians for generations. Long noted as an excellent cooking variety, Winter Jon is also superb for cider making. Its rather tart flavor blends well with sweeter cider varieties. 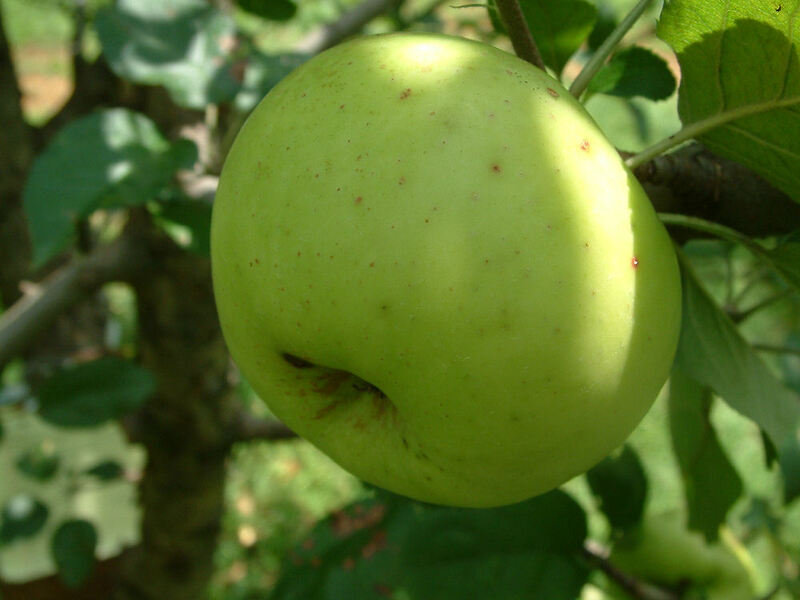 Fruit size is small to medium, conical in shape with greenish-yellow skin with an occasional red blush. The whitish flesh is crisp, firm, juicy, aromatic and quite tart. Ripens late November to December and is an excellent keeper.